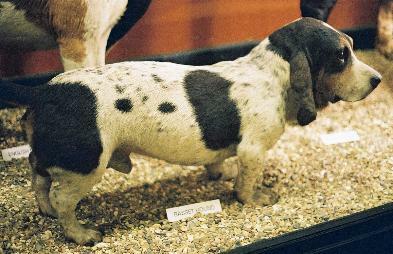 The old style of Basset Hound had much shorter ears than today's breed. 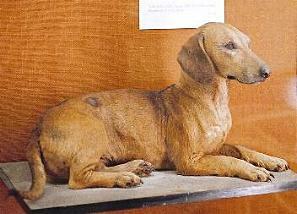 The old style of dachshund had much longer legs than today's breed. 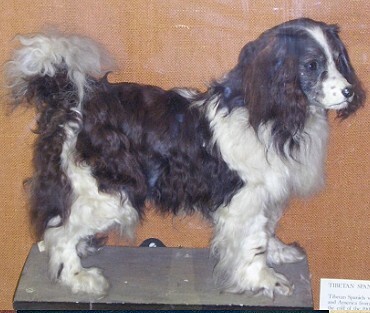 The Toy Trawler Spaniel is an extinct water dog that probably contriubted to the Cavalier King Charles breed. Foreground: Aberdeen Terrier. Background: Highland Terrier. 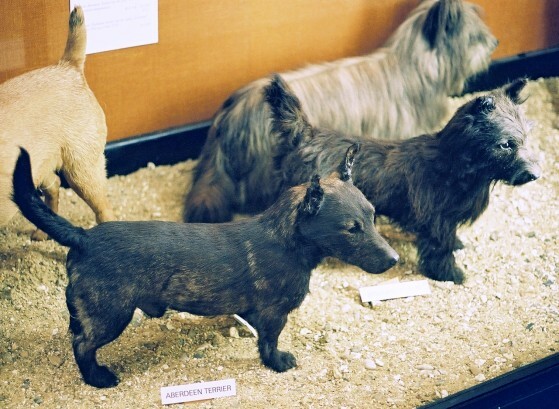 These are forerunners of some of the Scottish breeds of terrier. 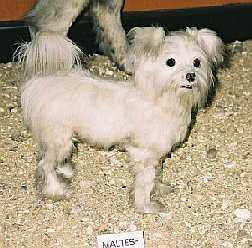 Maltese. The modern Maltese is best known as a short-legged, long-coated, ornamental lap-dog with an effeminate appearance. This old Maltese has long legs, a short-trimmed coat and a more workmanlike appearance. Lundehund. Although this specimen is a relatively recent (1991), it represents a traditional. 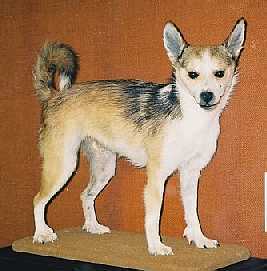 The Lundehund (Norwegian Puffin Hound) has prominent dew-claws that give it better grip on rocky terrain. Old-Fashioned Bull Terrier. The forerunner of the Staffordshire Bull Terrier. During the 19th Century it lost in popularity to the long-nosed, white-coated English Bull Terrier on the show-bench. 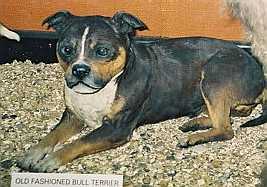 During the 20th Century, the Staffordshire Bull Terrier became the more popular of the two types. 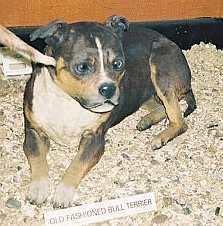 The similarity of the Staffie to the Old-Fashioned Bull Terrier can clearly be seen in the face.